Hope you've all had a great week - I still cant get my head around that it's October tomorrow where did September go? So today if you've seen some thing's I've been reposting on my twitter is officially Thunderbirds day - I can't believe this show is 52 years old. This show in my eyes really was so ahead of its time. I mean the idea of being able to see calls on your watch reminds me so much of the Apple watch's now. 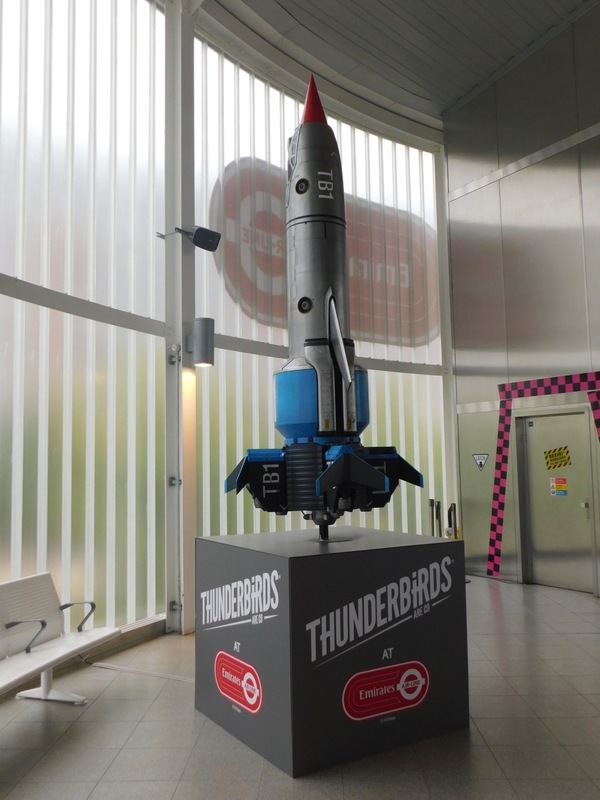 So the first part of my Thunderbirds themed weekend started yesterday when I got a chance to go and see the special Thunderbirds themed pods currently running on the Emirates Air Line at the 02 arena in London. If you've not been before its a very short walk from North Greenwich station. Its sign posted and a couple of minutes from the arena. There are a few ways of getting tickets but the easiest option is using contactless on your bank card for a return journey across the river as long as you swipe out the other side n have a short walk round to then make your way back. The Thunderbirds theme come from the new ITV show and there are special surprises on both sides of the River for big fans of the show. All the pods on the cable car have been themed to all the characters of the new show. I did enjoy having one of the Fab 1 Themed pods on the return visit. 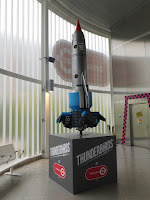 If you are looking for something different to do and want to check it out you've got till the end of Half Term to come n see the Thunderbirds theme running. Todays Thunderbirds trip to the cinema was brilliant. There was a mixture of young and old fans in the screening I went to. I was lucky to get one of the new blu rays with the copies of the new episodes a few months ago but it was quite iconic seeing it on the big screen. The new ITV episodes were also great. I've been waiting a long time for the 2nd part of Season 2 to arrive and it made a welcome return to screens this morning. I have to give some of the effects a mention that are coming up in what i hope is next weeks episode that was played in the cinema today. It pushes the boundaries of blending a cartoon and real life so far and each episode looks amazing. Its been great seeing ThunderBirds feature so much everywhere on social media the past few weeks. I really would love to see the original episodes and the new episodes with the puppets make it back on to the TV - with the success of the ITV show seeing the original episodes follow them back on to tv would bring a new generation of fans.